This incredible species has a most massive trunk, and is one of the oldest of all trees, some estimated to have lived 3000-4000 years. Its trunk becomes fluted, and the reddish-brown bark has a soft texture. Wildlife use this tree for cover and shelter. It is good winter protection, both among the branches and under them- we've found many animal bed sites under our forty-year-old trees. Birds and squirrels eat the seed from the two to three inch rounded cones. Plant the Giant Redwood where its great width can be allowed. While the trunk is handsome, and some limbs can be removed to reveal it, the tree has a better scale if it is not limbed very high. 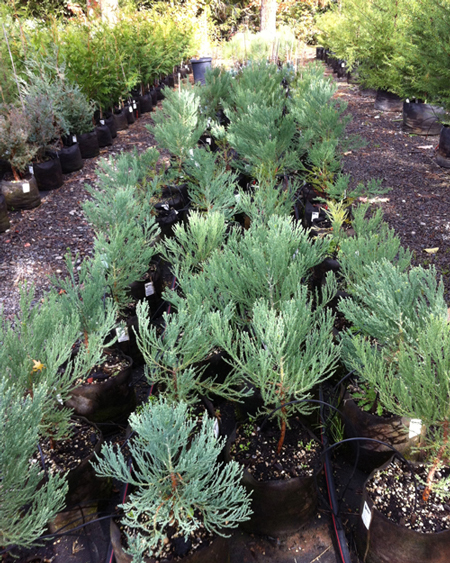 Use this in a large mixed conifer planting or give it room to be a dominant specimen. In a large area, a well-spaced grove is spectacular, both from a distance, and from within. It makes a dramatic avenue, planted down both sides of a long drive or avenue. (It is used this way in Britain where the tree is called the Wellingtonia). Their natural habitat is the granitic, rocky soil of moist mountain sites of the western slope of the Sierra Nevada, where they are found mostly at 4500-7500 elevation. Surprisingly, they do very well in this area. 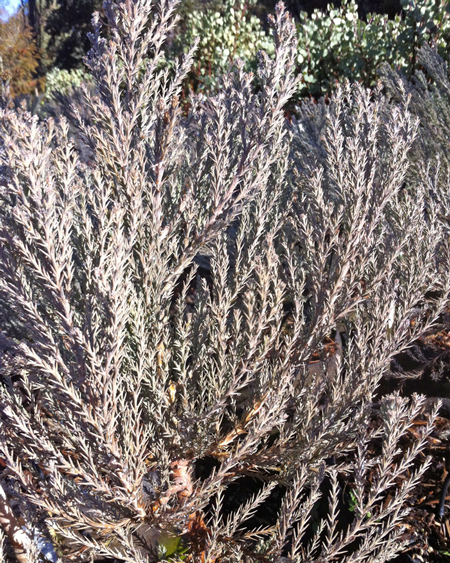 They are very cold hardy and grow well in our long hot summers. Deep soil and a plentiful supply of water yield the fastest growth, up to 4ft a year. They may reach 80ft or more in cultivation. 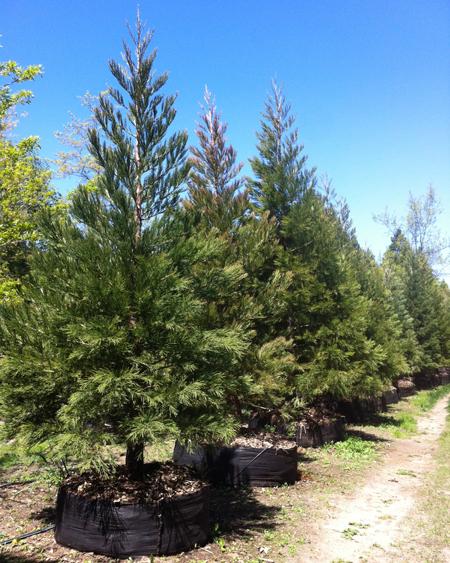 Conifer Size 2 gallon3 gallon5 gallon5 ft.6 ft. 7 ft.15 ft. 20 ft.